This is a basic template for a dry South Asian curry, using minimal ingredients. 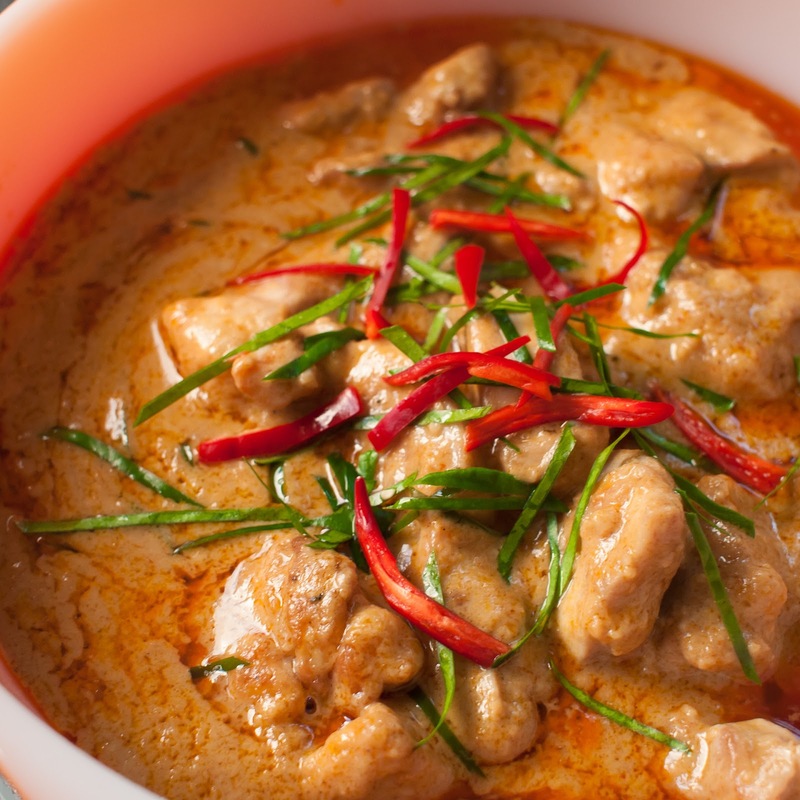 To maintain the spicy flavour, it is recommended that the paste is applied to the rice as well as the body of the meal, but feel free to experiment with different ingredients. 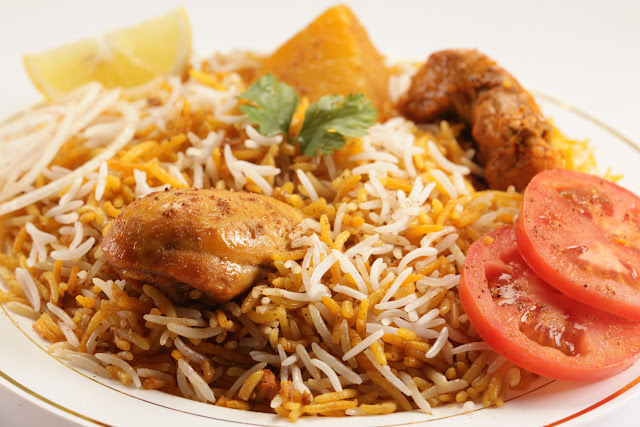 Brown or pilau rice may be an attractive substitute for basmati, whereas the selected flavour of the curry paste depends upon the tastes of the individual. Popular additives include onion, sweetcorn, or any diced vegetable that can be shallow-fried. The most important thing to remember is to keep the meal dry. Do not allow the rice to sit in the water for too long, and do not over-stir. Also, once the oil is hot, get the potatoes in and out as quick as possible, as these tricks will help you to avoid a stodgy texture that will dampen the flavour as well as ruin the visual appeal of the biryani. The above measurements are per person. Depending on your choice of rice, you may wish to first wash it with cold water to remove the starch, as this will stop the rice from sticking. Add a small amount of oil, and salt for flavour. Follow with boiling water and allow to simmer whilst preparing the rest of the meal. Dice the chicken, peppers and potatoes into small cubes, removing the skin if preferred. Heat a small amount of oil in a saucepan - just enough to immerse your diced potato. Allow the oil to reach a decent temperature before adding the potato. If it does not form bubbles on contact, the potato will absorb some of the oil and break apart when stirred. Shallow-fry the chicken in a separate pan, ensuring that it is cooked throughout before adding the peppers. Once the potato cubes have a crispy coating, drain them from the oil (not in your kitchen sink) and add them to the chicken and peppers. Stir a small amount of curry paste into the mixture, ensuring that there are no lumps to shock the unsuspecting diner. Once cooked, drain the rice if necessary. Add curry paste to the boiled rice for colour and flavour, using one teaspoon at a time to suit your desired level of spice. Combine and serve.